With another Indiana deer season under way I keep hearing stories about people sitting days on end without seeing deer. Several things including weather, moon phase, and pressure certainly play a big role when it comes to deer activity but this year seemed different. I personally run eight trail cameras starting in June and keep them out until the end of March. Over the last five years I have had a steady decline in deer showing up on camera. As someone who has been an avid hunter for twenty one years I understand how daytime movement can be effected so I base my findings on trail cameras more than actual hunts. What seemed different about this year was the number of days my cameras did not have activity. Just two years ago it was normal to have pictures every day. The majority of them were at night as expected but it was reassuring to know they were there. This year I had cameras sit idle for five to ten days on several different occasions. Four of these cameras were on established mineral sites where activity is certainly better. The other four were on what I consider to be normal travel routes. From all the work and time put in to monitoring the herd I came to the conclusion they just aren’t there. My biggest concern is how doe sightings have decreased rapidly. I do believe at one time we had too many deer and this is why the state of Indiana decided to put in a deer reduction program. The problem I see with this program is they don’t have a way to monitor it and adjust accordingly. I live in Jasper County which has areas of large timber that could still possibly be overpopulated but the overall landscape isn’t like that. We are currently allowed eight bonus tags and don’t forget about the depredation tags. This year’s legalization of center fire rifles has extended the effective range of hunters, increasing opportunities, and further reducing numbers as well. If you do the math on what percentage of does have twins you will see how fast this can go from reduction to eradication in areas where ten acres is considered a big piece of timber. Just a few days ago my neighboring land owner which is a farmer said he noticed how low herd numbers are. He followed that by telling me they don’t have any crop damage this year. So why are we still in reduction? There was a ten day stretch where I didn’t see a single deer this year. A child cannot sit that many days before losing interest so for future generations and sportsman today we cannot afford to stay on this path. While the state has their way of doing things the biggest conservationist are hunters. Just because the state says you can shoot eight does per year doesn’t mean you should. 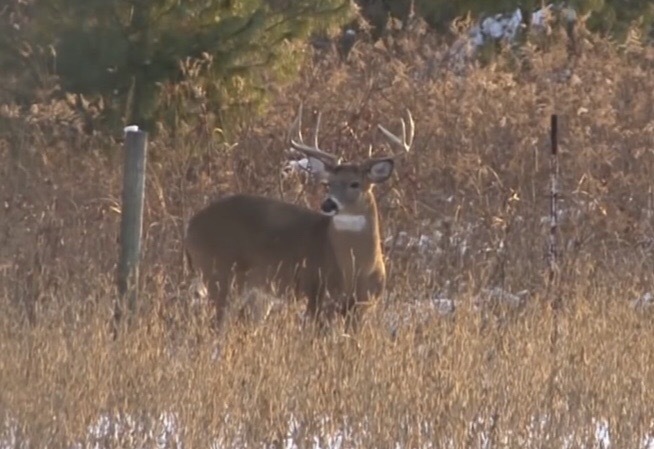 Take a good hard look at the area you hunt and decide if it’s necessary to fill every tag. Every person that walks in to the woods makes the final decision on our herd population. Previous This is what it is all about. Unfortunately, the herd in NC is shrinking too, mostly around lakes. We have had a bad bout of EHD hit our state and the deer around gamelands, which is the land around our lakes mostly. They are bitten by biting flies carrying the disease in the lake mud left by receding waters from our droughts (you should see the lakes near me right now, they’ve never been so low). The deer get a fever, and all they can do is stay at the water, and they die there standing in it. I hear these types of stories all over the country. Not good. I do believe we had it here. We found several dead deer in creeks during the summer.